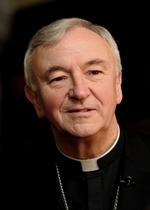 Archbishop Vincent Nichols, president of the Bishops’ Conference of England and Wales, has written to Pope Benedict XVI on behalf of the Bishops to thank him for his Apostolic Ministry as Supreme Pontiff, joyfully remembering his Visit to the UK in 2010, and saluting his courage and integrity at stepping down from the See of Peter. On behalf of the Catholics of England and Wales, and expressing sentiments shared by many others, I write to offer you, at this historic moment, our loving affection and prayers. 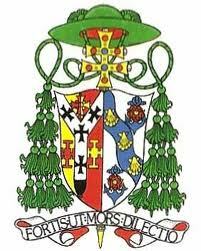 We recognise the courage and integrity of your decision to step down from the See of St Peter. We assure you of our support, while very conscious of our profound sense of loss. We thank you, Holy Father, for all your years of service to the Church, and most of all for the seven years of your Apostolic Ministry as Supreme Pontiff. 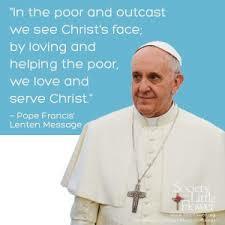 We have treasured your loving care as Pope and your wonderful teaching. Through your ministry many have grown in love of our faith and, most crucially, in their relationship with Our Lord. We remember with joy and exhilaration your Visit to the United Kingdom in 2010 when you thrilled us with your presence and spoke the message of the Gospel to the hearts of so many. We promise you our prayers for the years ahead. May God bless you with peace and the gift of consoling prayer. We know that you will continue, faithfully, your life‐long vocation of love of God and His Church and of prayer for us all.